As a singer, k.d. 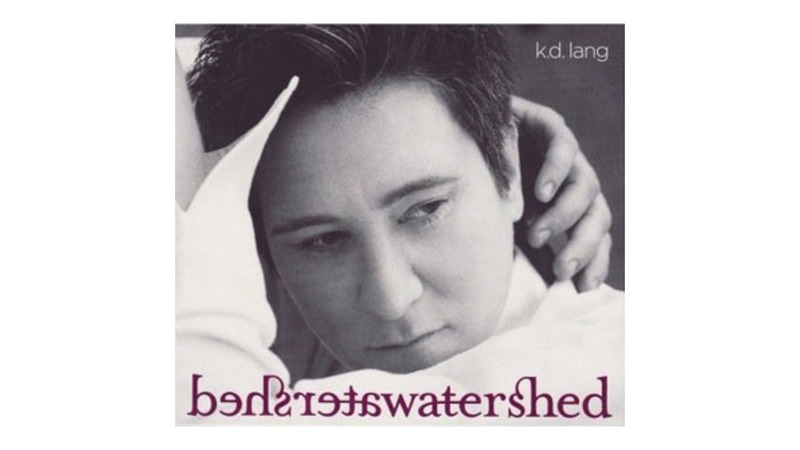 lang has few peers; indeed, her vocal instrument is so extraordinary that her biggest career challenge has been coming up with songs worthy of it. The lack of sticky material that has beset each of her albums since 1992’s Ingénue continues with the self-written, self-produced Watershed, preventing it from rising above the level of tasteful mood music. The intimate, string-enriched settings suit the restrained emotionality of the 11 songs, but there’s nary a stab at a chorus hook, and the only trace of a rhythmic pulse occurs in “Coming Home.” By contrast, lang’s ultra-catchy take on “Help Me”—found on this year’s A Tribute to Joni Mitchell—makes a compelling case for her to stop relying on her own writing as her primary source of material and simply record the songs that speak to her most urgently, as she did in 1988 on the Owen Bradley-produced milestone Shadowland. If lang writes another “Constant Craving” while she’s at it, so much the better.